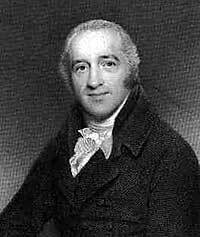 The Simeon Network is named for Charles Simeon, a preacher of the gospel at Trinity Church, Cambridge from 1782. Simeon was the inspiration and catalyst for university ministry before there was university ministry. He not only preached in the local church, but was also a resident and fellow of Kings College from his student days to his death in 1836. His struggles to forward the gospel amid student apathy and church and university opposition, and his unflagging innovation and perseverance, have direct relevance for us today as we attempt to make Jesus known at university. He established patterns of evangelism and training among the students at Cambridge that would, in the next generation, bubble over into formalised student ministry at Cambridge, and from Cambridge to the rest of the world. The current International Fellowship of Evangelical Students, which began as the Cambridge Inter-Collegiate Christian Union (CICCU), is the direct descendant of Simeon’s students, and student Christian meetings around the world today still carry the unmistakable flavour of the vision of Charles Simeon. The influence of Simeon on future generations of student leaders, however, did not derive primarily from his tactics, but from his strategy. His commitment to understanding and teaching about God and the world from the Scriptures shaped everything he did. His sermons were simple expositions of Bible passages and his goal every time he preached was to ‘humble the sinner, exalt the Saviour, and promote the holy life’. Please follow the links on this page to other articles and books for more information about Charles Simeon.